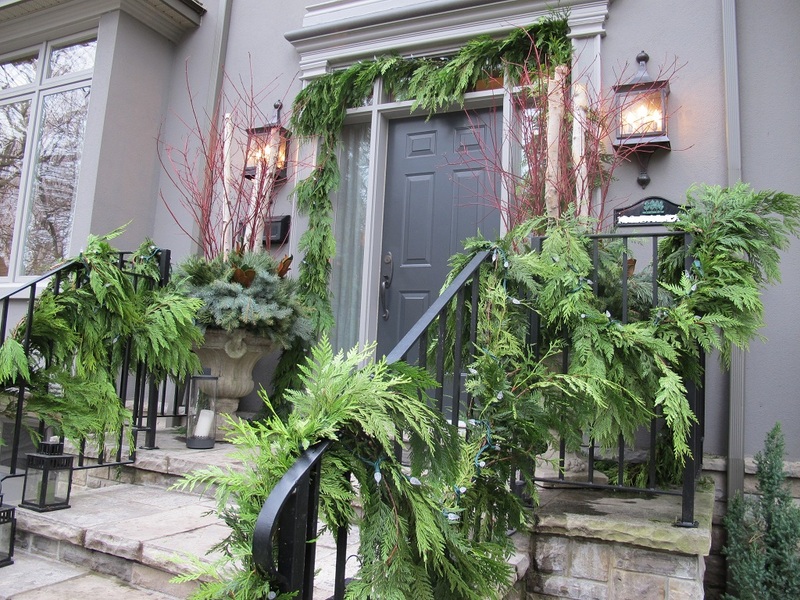 Traditional cedar garland and elegant winter planters decorate and personalize house front steps during festive winter holidays. 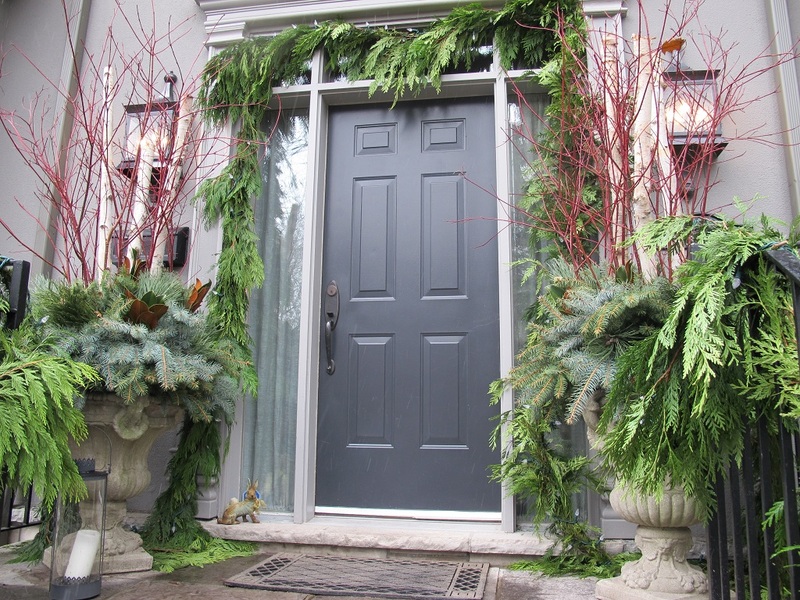 Winter garlands and planters installation and service in Toronto and GTA. 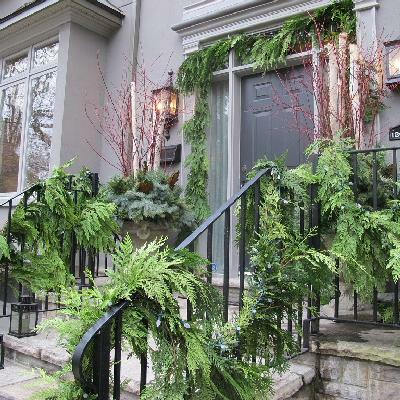 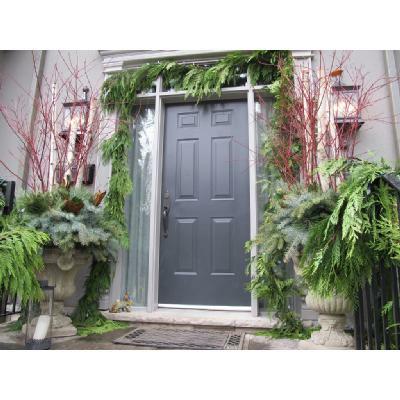 Enjoy online catalog of stylish Toronto winter house decorations from city trendy floral and horticultural boutique. If you need any assistance please call our Toronto floral studio.